Hercules Louis Dousman was a fur trader, lumberjack, land speculator and businessman. He was considered one of Wisconsin's wealthiest and most influential men, and his longtime mansion and grounds in Prairie du Chien are now known as Villa Louis, a Wisconsin Historic Site. Dousman was born on Mackinac Island, Michigan. He was the son of Michael Dousman, a prominent fur trader on the island. Hercules was educated in Elizabethtown, New Jersey. He then worked as a clerk in a New York City store. He later returned to Mackinac Island, where he was employed as a clerk by John Jacob Astor's American Fur Company. In 1826, the company sent Dousman to the frontier settlement of Prairie du Chien, Wisconsin, where he worked as an assistant to the company's local agent Joseph Rolette. Roulette was Astor's chief agent in the Prairie du Chien area. Dousman worked with him until 1834. Dousman's skill in dealing with the Winnebago and Chippewa Indians made him indispensable to the post. He soon directed fur trade operations in an area extending from Prairie du Chien to the Canadian boundary. In 1834, Astor sold the northern holdings of the American Fur Company to Ramsay Crooks. Dousman became a stockholder in the reorganized company. To supplement the declining fur trade business Dousman established a large wholesale and retail store in 1838. In 1843 Dousman transferred his trade to the Pierre Chouteau Company of St. Louis and became a partner in the firm. 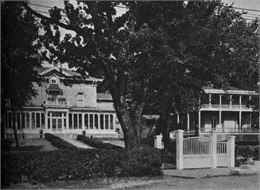 He completed construction of a large mansion on the banks of the Mississippi River at Prairie du Chien later that year. 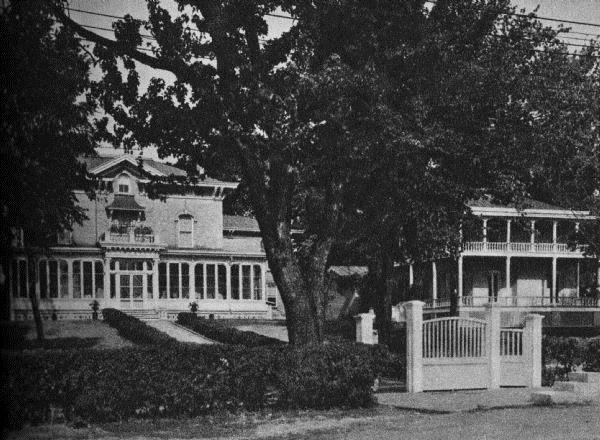 The site would later host Villa Louis in 1870. Roulette died in 1842. In 1844, Dousman married Roulette's widow. The Upper Mississippi fur trade rapidly declined in the 1830s and 1840s. Dousman soon turned his interests to new enterprises. He owned extensive timber lands in the Chippewa Valley, and from 1836 to 1848 was principal owner of a saw mill operated by Jean Brunet at Chippewa Falls. During the 1850s he directed immigration and business to the Upper Mississippi River ports. 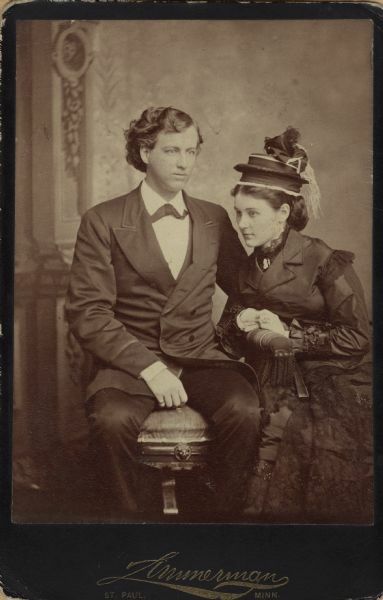 He briefly owned five river steamers and was financially invested in several steamship lines including the Prairie du Chien, the Northwestern Union and the Prairie du Chien, Hudson and St. Paul Packet Company. Dousman also promoted railroads, especially the Milwaukee and Mississippi — Wisconsin's first railroad to reach the Mississippi River. Dousman made a large fortune over his life. He spent his declining years on his large estate at Villa Louis, giving lavish parties and entertaining distinguished visitors from throughout the nation. Dousman died of heart failure on September 12, 1868. He was regarded as one of Wisconsin's wealthiest and most influential men. His property passed to his wife Jane and son Louis. Dousman has since been immortalized by the Villa Louis historic site in Prairie du Chien. Dousman is buried at Calvary Cemetery in Prairie du Chien. See more images, essays, newspapers and records about Hercules Louis Dousman.